How much is Eugene Mirman Worth? 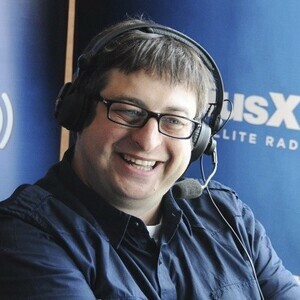 Eugene Mirman net worth: Eugene Mirman is a Russian-born American comedian and writer who has a net worth of $2 million. Eugene Mirman was born in Russia in July 1974. He is best known for playing the role of Yvgeny Mirminsky on the television series Delocated and for voicing the role of Gene Belcher on the TV series Bob's Burgers. He graduated with a Bachelor of Arts in comedy as part of Hampshire College's choose your own major program. He released the CD and DVD The Absurd Nightclub Comedy of Eugene Mirman in 2004. His second album En Garde, Society was released in 2006 and in 2009 he released the comedy album God is a Twelve-Year-Old Boy with Aspergers. As an actor he has done voice work for the TV series Home Movies, Cheap Seats: Without Ron Parker, Lucy: The Daughter of the Devil, Aqua Teen Hunger Force, Archer, and Bob's Burgers. From 2009 to 2012 he starred as Yvgeny in the TV series Delocated. Mirman has also starred in the movies Puberty: The Movie and The Toe Tactic. He often tours the United States performing comedy in rock clubs and theaters and has opened for bands such as The Shins, Modest Mouse, and Cake.